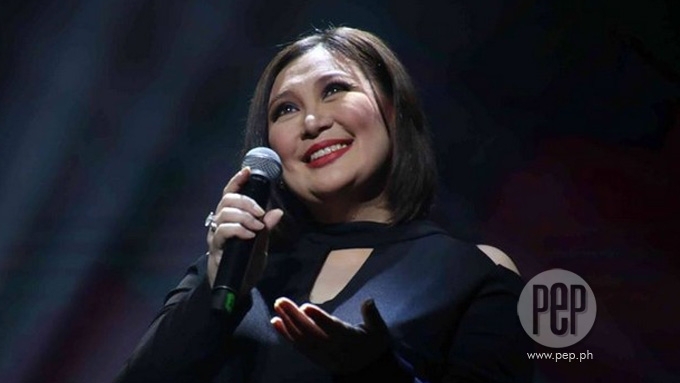 Sharon Cuneta on doing a movie with Gabby Concepcion again, "Napaka-glossy lang ng team up namin, gusto ko lang siguro na ma-experience ulit ng fans namin." 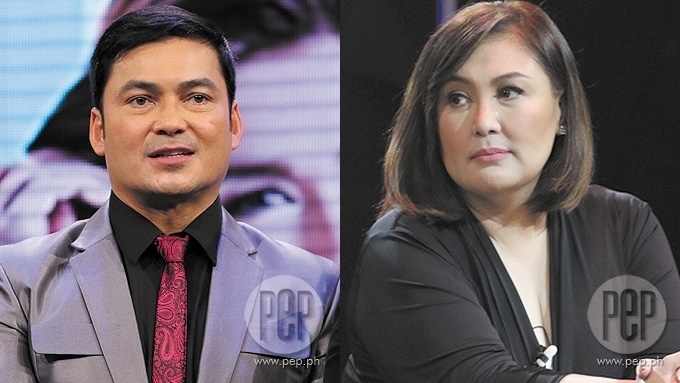 This was Sharon Cuneta's reply when asked about her reunion movie with ex-husband Gabby Concepcion. This is contrary to a report published in a tabloid last March 5 which indicated that the Sharon-Gabby movie will not push through because of issues regarding talent fees. It's been more than three months since Star Cinema announced the plan to bring together Sharon and Gabby in a movie again. At that time, the Megastar said the movie was scheduled to be shown this May. However until now, they still have not started filming the most-awaited project. 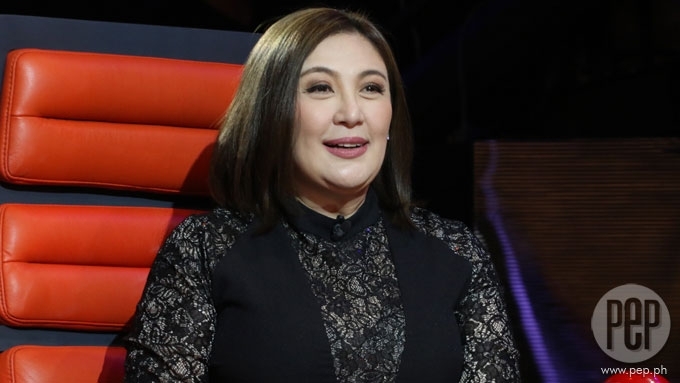 Even Sharon could not give specific details when interviewed by entertainment reporters on the set of The Voice Teens on Friday, March 24. “You know, it's painful to be let down, e. So, I always think, naku my fans or ours will be disappointed kapag hindi na naman. So, I'm just quiet na lang. “I'll believe it when we started shooting, no, when we're halfway through the movie. Sharon hopes that they'll start doing the movie soon. She explained, "I have to finish some time kasi I have a concert rin in June abroad. We're gonna go through The Voice din and finish them just in time. "I mean, my calendar's been disrupted now so far. So, I don't want it to disrupt anymore and disappoint other people I'm commited to naman." REQUESTING FOR GABBY. Sharon admitted she was the one who actually asked Star Cinema's managing director Malou Santos to have Gabby in her movie instead of her other former onscreen partners. The Your Face Sounds Familiar judge said, “I could've said family drama na lang muna. “But actually, this project is meant for someone else. Ibang ka-love team ko. “Ako yung nakipaglaban. Sabi ko, matagal nang hinihintay ng fans namin. “Kasi, alam ko naman there's people to fall back on—there's Richard [Gomez], there's Robin [Padilla], there's Aga [Muhlach]. I can do a family drama rin naman. “Napaka-glossy lang ng team up namin, gusto ko lang siguro na ma-experience ulit ng fans namin. FOR THE FANS. Just like what she said, Sharon agreed to do a movie with Gabby for their fans. “Alam mo, alam ng Panginoong Diyos, it's really for the fans. “There's been a clamor for it since he came home. That was how many years ago. “Noon, ako 'yong medyo hesitant. Ngayong naging open na sa lahat. Wala namang naging issue sa asawa ko. My husband has been supportive. “Noong nalaman niya, okay, 'Basta if it's okay with you, it's okay with me.' Ganun si Kiko [Senator Francis Pangilinan, Sharon's husband]. "Then, I would hear na gusto rin niya [Gabby]. “Parang feeling ko, alam mo, since ang laki ng utang ng loob ko sa team up namin, yung Sharon-Gabby, na hindi naming inakalang mahal ng tao nang ganun. “Sabi ko two things, either closure, para mapagbigyan namin sila. Kasi, the end na, nag-mature na kaming dalawa. “Or puwedeng bagong beginning kung tutuldukan namin, pwede naman siyang mag-run pa ng ilang buwan or taon. “Puwede pang mag-ibang project or malay mo may iba pang endorsements or malay mo iba pang project sa TV. “Ang daming puwedeng gawin kasi it's such a strong brand na minahal ng mga tao. “It's such a strong brand na minahal ng mga Pilipino.